Galaxy S10 series is grabbing all the attention of reports nowadays. There have been many leaks and guesses about them. Finally, today's official press renders show the more affordable Galaxy S10e or Galaxy S10 Lite. The report makes it clear that the Galaxy S10 Lite will not have the in-display fingerprint sensor, as it can be seen on the right frame. The power button is acting as the fingerprint sensor. The button below the volume controller is the dedicated Bixby button. 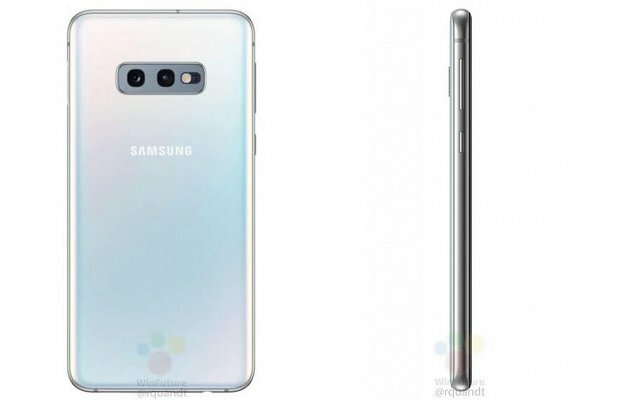 The Galaxy S10 Lite also has two cameras on the back unlike the trio on the other phones in the series. And it has one front camera similar to the Galaxy S10. Samsung Galaxy S10 Lite will come in red, black, yellow, blue, white and green. Moreover, the red and yellow colors will be specific to Galaxy S10 Lite, according to the latest reports.